Enter in your mobile phone number or e-mail address and we will notify you when GPS TopoPLUS AU 5m DVD is back in stock. This software allows for the viewing of maps from your computer. You can also transfer waypoints, routes, and tracks between your Garmin GPS and computer using this software. 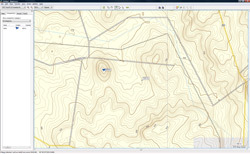 For reference on a computer, the contours are displayed with an Australian base map, showing major roads, cities, train lines, and water bodies. This mapping product can be unlocked to one Garmin GPS unit. This software is compatible with Windows OS only. A workaround for Mac iOS is available here. Shows two seperate screens of the same area. The top right screen is a zoomed in version of the bottom left. 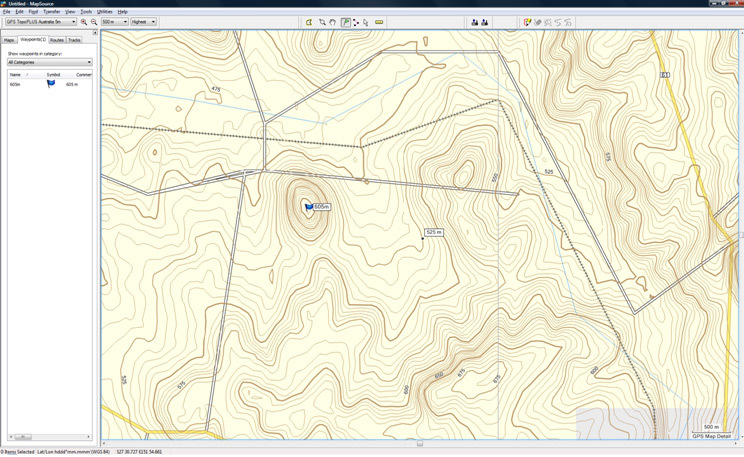 On Mapsource on a computer, contour lines are shown in varying thickness. 100 metre lines are thicker than 50 metre lines. Thin lines are individual 5 metre contours. You can envisage the steepness of the landform from this type of mapping. Unlike on the actual GPS, two Mapsource products (for example City Navigator and GPS TopoPLUS) cannot show on screen at the same time. You can switch between one map and the other. The concept of 5m contours is great, but for my requirement in a rural fire brigade, track information is more important.